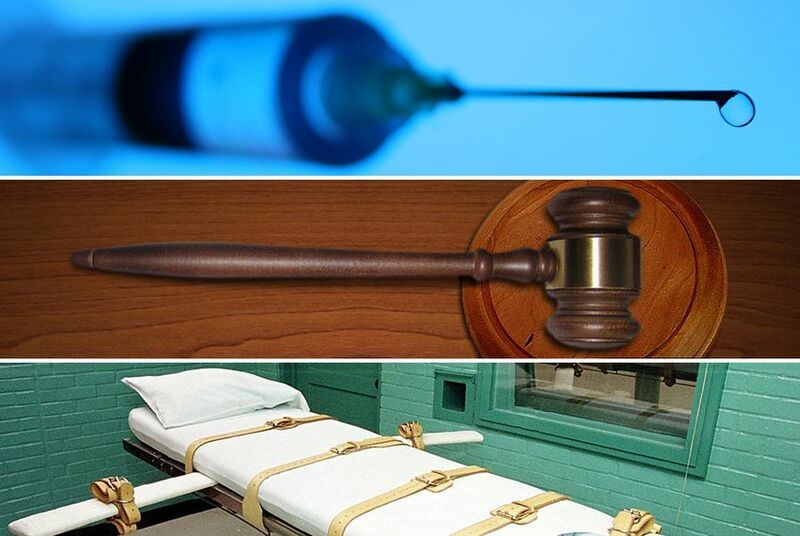 Despite recent improvements that aim to prevent wrongful convictions, an American Bar Association report released Wednesday says much work remains to ensure fairness in the application of the death penalty in Texas. Prosecutors contacted for this story declined to comment because they had not yet seen the embargoed report. Since 1989, there have been 132 Texas convictions overturned, including those of 12 people who were on death row, according to the National Registry of Exonerations. In recent legislative sessions, lawmakers have passed new laws designed to prevent erroneous convictions. In 2007, lawmakers established a regional public defender’s office for those accused of capital crimes. In 2009, legislators created the Office of Capital Writs to represent death row inmates. Two years ago, lawmakers required that local police agencies begin using better practices for photograph lineups. And this year, the Legislature approved the Michael Morton Act, which requires prosecutors to turn over police reports and witness statements to defense lawyers. The report calls on lawmakers to require police agencies to preserve biological evidence in death penalty cases. Among the exonerations in Texas, 48 were based on the results of DNA testing. This year, lawmakers approved a law that requires testing of all biological evidence in death penalty cases. But in older cases, like that of death row inmate Hank Skinner, who was convicted in 1995 of murdering his live-in girlfriend and her two sons at their Pampa home, tracking down evidence to test can become challenging. Skinner fought for about a decade to obtain DNA testing he claims will prove his innocence in the brutal killings. The courts finally allowed the testing in 2012, but the state has been unable to locate a key piece of evidence, a man’s windbreaker that Skinner argues could contain DNA that leads to the real killer. A key recommendation in the report, Ferguson said, is the elimination of the use of “future dangerousness” as an element in the jury’s decision-making in death penalty cases. In Texas, juries are asked to determine whether the defendant would commit violent crimes in the future before sentencing a person to death. In 2002, then-Attorney General John Cornyn acknowledged that Texas had made a mistake in seven cases where prosecutors used testimony from a doctor who indicated to the jury that the defendants would present a bigger risk for future violence because they were black or Hispanic. The report also suggests that Texas lawmakers should specifically ban the death penalty in cases where the defendant suffers from mental retardation or mental illness. And it urges the state to require the use of current scientific standards in evaluating whether a defendant is mentally retarded or mentally ill. The U.S. Supreme Court in 2002 ruled in Atkins v. Virginia that states could not execute the mentally disabled because it violates the constitutional ban on cruel and unusual punishment. But it allowed states to develop their own criteria for mental disabilities. Texas lawmakers, though, have been unable to agree on criteria, leaving it to the courts to decide how defendants should be evaluated. The standards currently used to determine whether a Texan convicted of murder is mentally fit to be executed are called the "Briseño" standards — after the case that led to their development — and are based, in part, on the fictional character Lennie from John Steinbeck’s classic novel Of Mice and Men. The Texas Court of Criminal Appeals, in its Briseño ruling, wrote that "most Texas citizens would agree that Steinbeck's Lennie should, by virtue of his lack of reasoning ability and adaptive skills, be exempt from execution. But does a consensus of Texas citizens agree that all persons who might legitimately qualify for assistance under the social services definition of mental retardation be exempt from an otherwise constitutional penalty?" The court’s three-part definition requires the convicted inmate to have below average intellectual function, to lack adaptive behavior skills and to have had those problems prior to age 18. But prosecutors have argued that the existing standards ensure that Texas doesn’t violate the U.S. Constitution’s ban on cruel and unusual punishment. Finally, the report calls on Texas to create a commission to investigate each of the state’s wrongful convictions, identify the factors that contributed to them and consider ways to solve those problems through legislation or other policy changes. Lawmakers have proposed such a commission in recent legislative sessions, but the measures have failed. State Sen. Joan Huffman, R-Southside Place and a former prosecutor and judge, was one opponent during the 2013 legislative session. "Anyone listening to this could not argue we haven't made significant reforms in criminal justice," Huffman said during a legislative hearing in May. "We do not need yet another layer to go through this again." Jennifer Laurin, a University of Texas School of Law professor and chairwoman of the team that prepared the report, said its goal was not to call into question the use of the death penalty in Texas. Instead, she said, it was to ensure that it is implemented fairly. Former Texas Supreme Court Justice Deborah Hankinson, who also worked on the report, said lawmakers must take steps to restore public confidence in Texas' court system. “For citizens to have confidence in the process, it requires transparency in every phase,” she said.